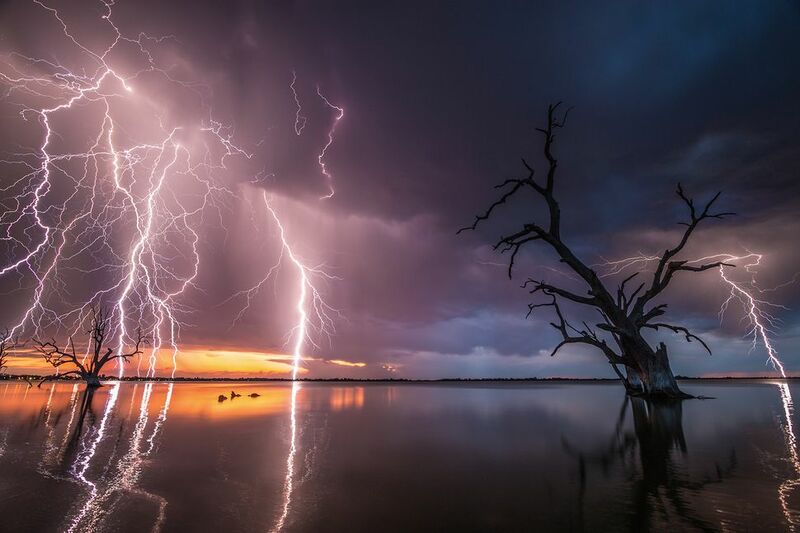 A Bonney Storm at Barmera,. I came for the sunset and left with a storm! Earlier in the day I had been disappointed to learn that an approaching thunderstorm was going to miss where I was situated for my snaps but as luck would have it, the weather bureau had it wrong. The storm passed right overhead and it was one of the most incredible nights of my short photography life, over 80,000 lightning strikes were registered across South Australia that night. via ABC OPEN: A Bonney storm || From Project: Snapped: Water. The Renmark Riverfront, South Australia. 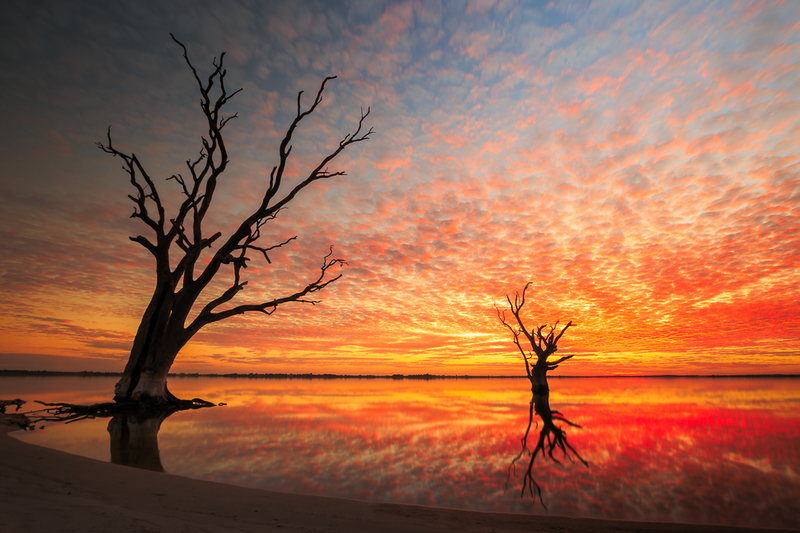 My stunning town 0f Renmark in the South Australian Riverland. 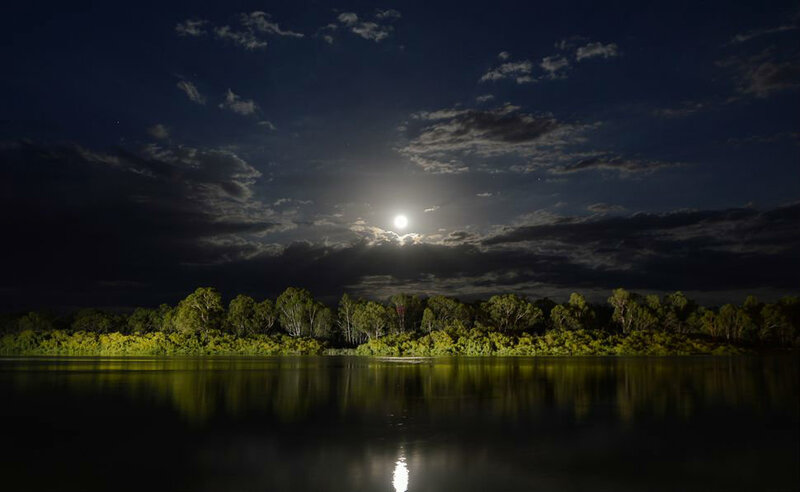 via ABC OPEN: Moon river || From Project: Snapped: My town. 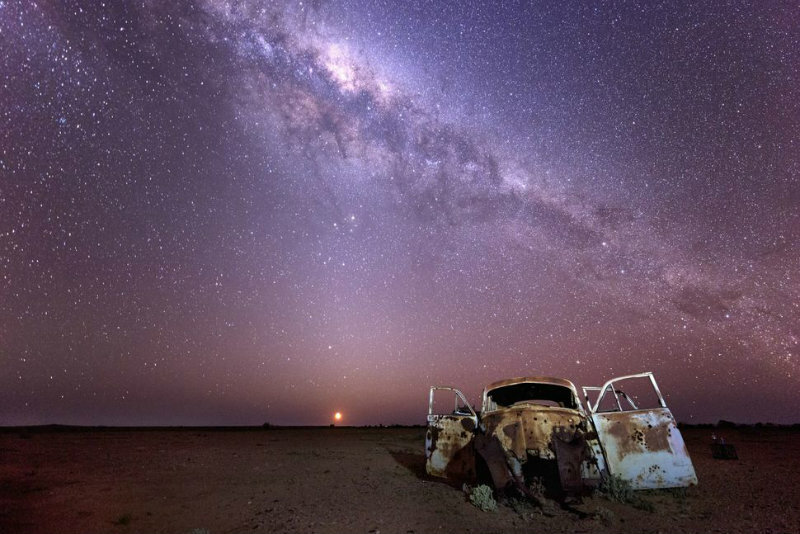 Marree which is in the Remote area of Australia doesn’t appear to hold much interest, but it’s there, you just have to find it. via ABC OPEN: Moon Set || From Project: Snapped: Your Top 3 in 2014. Z Ward for – ‘criminally insane’ Glenside. Z Ward, a former hospital for the “criminally insane,” rests in the tranquil South Australian suburb of Glenside. Though long abandoned, this building remains perfectly intact and free from vandalism thanks to a protective wall with a deceptive height. Construction on the maximum-security facility began in 1885 and Z Ward greeted its first patients in 1887. The institution was built for the purpose of holding South Australia’s criminals who were too violent or mentally unfit for normal prison life. Z Ward functioned as part of the Glenside Hospital Campus, though was run more like a high-security jail to prevent escapes. Initially, the building was actually named L Ward, but this was swiftly changed once the nickname of “Hell Ward” developed. The building had the capacity to hold 40 patients at a time and often did so before it closed in 1973. Since the closure of Z Ward, the building has remained mostly vacant other than acting as a storage facility or hosting the odd arts event. The future of Z Ward remains uncertain, though it is rumored that it will be converted into office space soon. Thankfully, for those who are interested in the history of this building, its supposed ghosts, or just hoping to take a peek through the empty former cells, some tours currently operate through the week. Glass-like water and the eternal stance of the ballerina trees beneath a dancing sky. via ABC OPEN: Bonney aflame || From Project: Snapped: Lines and curves. Hidden Emotions of the Modern Man. Photo: Darren Smith is photographed for Karen Waller’s Vulnerable exhibition to break down the myth that real men do not show emotion. In her latest exhibition, Vulnerable, Adelaide photographer Karen Waller has captured the often unseen emotional side of modern men. Her photographs capture South Australian men dealing with the memories of grief, depression, anxiety, loneliness, isolation, fear, illness or old age. “It is really important that we have these images of men, and images of men in particular who are seen to be crying, images of men who appear to be tough but also have the great strength of character to show us that they are also men who are not afraid to show us their emotion,” Ms Waller said. Ms Waller met her first subject, Darren Smith, through a group of friends. “I was told that he could be quite emotional and had some stories to tell around grief,” Ms Waller said. Mr Smith sat in Ms Waller’s studio and they shared unguarded stories of their emotional past. Wearing a dark singlet, gold chain, multiple earrings and covered in tattoos, Mr Smith was an imposing figure as he sat in the studio. 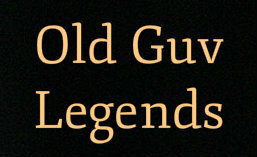 As he recalled his stories, he began to well up and shed a tear. Ms Waller caught the image of him amidst the grip of his emotions. 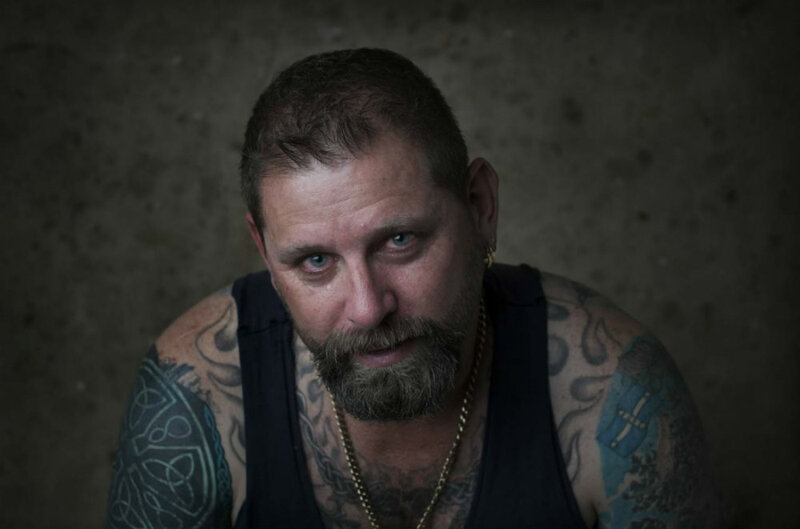 “It’s a beautiful image of a man who looks really tough and who is also a man who is vulnerable,” Ms Waller said. She was amazed by his courage to display the emotion openly and then allow her to share the image publicly. By capturing men openly displaying their emotions, Ms Waller hopes to break down the stereotype of the stoic Australian male and openly show that real men do cry. via Adelaide photographer captures the often hidden emotions of the modern man – ABC News (Australian Broadcasting Corporation).